We can easily add new users in WordPress. Administrators are able to create and manage users from Users menu of WordPress dashboard. Sometimes, you hand over login credentials to third parties for rectifying site related issues, SEO etc. The developers may ask for admin user privileges to thoroughly check the site and if you know them very well, security is not a big concern. But don’t forget to remove their extra privileges or change user roles as soon as they completed the task. Otherwise, you will be at high risk. Cybercriminals may try to sign in to your site using developer’s negligence or security loopholes in their system. You can easily overcome this situation by issuing a self-expiring login to the temporary users. Those user accounts work for some hours or days, according to your choice and will automatically expire after the chosen period. You don’t need a password to log in with such accounts. It will generate a temporary link and using which anyone can login to the site until the time specified. Visit WordPress plugins library or open Plugins menu on your WordPress site and tap Add New button. Search for Temporary Login Without Password. 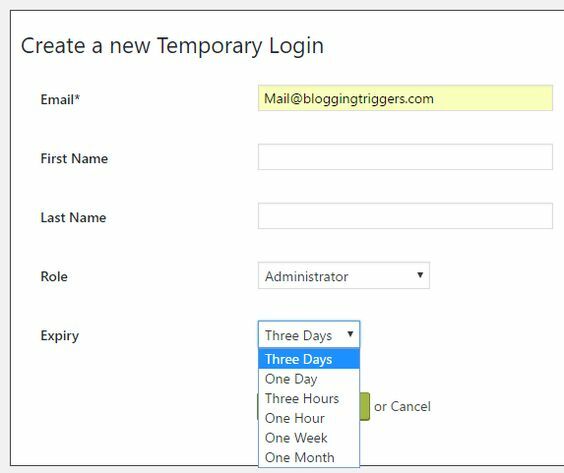 It will add a new option under Users menu, called Temporary Logins. Tap Create New button to add a new temporary login account. Email is an essential field. Enter it correctly. Choose a role for the user followed by expiry period. You can set it active for one hour, one day and maximum one month. Finally, click on Submit to create a temporary login. Now you will get a temporary login link to access the site. Copy and share it with others to start their job. They can access any part of your site including editor, posts, pages etc depend on the privileges assigned. A new user account will be added under Users menu, but they can’t open and manage own profiles. To manage temporary login from your side, visit the same tab again. It will show users mail id, their role, last logged in time, expiry status and options to manage. You can see three action buttons at the right end of login profile. Lock link lets you instantly disable the selected login. To delete it, click x button. If you just want to copy the temporary login link, tap the last link icon. 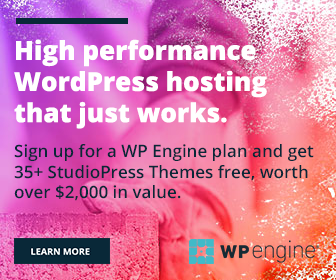 WordPress will automatically assign a deleted temporary user’s contents to the owner of the site or main administrator.